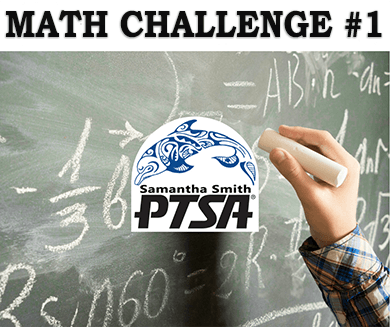 Math Challenge is back for 2018-19! There will be 15 math challenges throughout the school year. Every two weeks, there will be a new math challenge. We encourage students to participate in this program and discuss these math problems with their parents or siblings. Students who submit qualified answers to at least 12 math challenges will be recognized in June 2019. Solutions are due on Wednesday, October 3, 2018 by 1:50 PM. Students may turn in solutions to their teacher or at the front office. Have fun backtracking to find the solution!